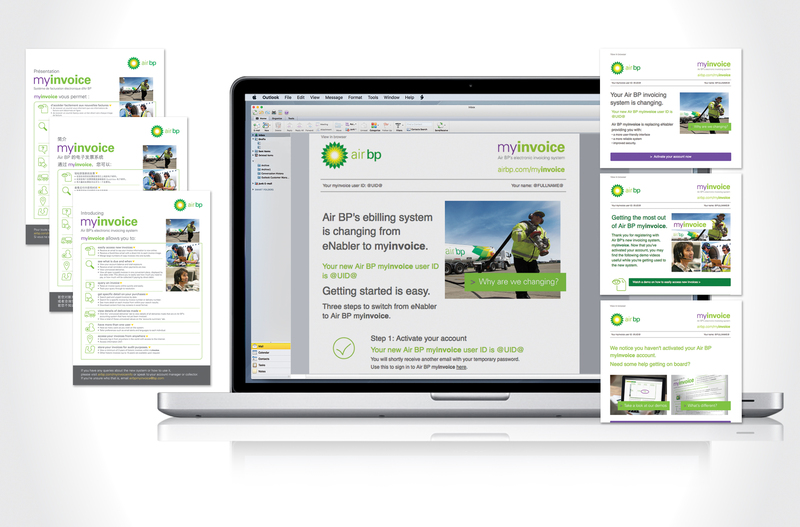 The campaign material included a series of emails to inform customers of the change, explain why and when Air BP were moving their customers over to the new system, and how they can access it. The initial alerts were supported by further communication to help customers get the most out of the new system and get help with getting on board if they needed it. The campaign was automated to allow customers who didn’t sign up quickly to be reminded of what they should do in order to continue managing their account digitally. step-by-step instructions (which differed for existing and new customers) on how to get up and running quickly on myinvoice.